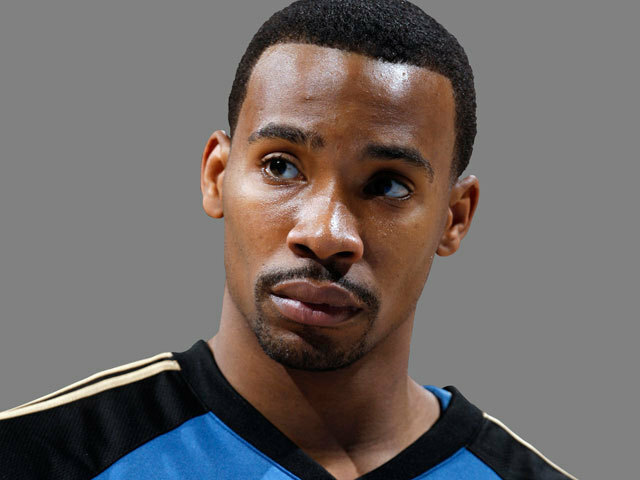 (CBS/AP) SANTA ANA, Calif. - Former NBA player Javaris Crittenton, who was suspended from the league for having a gun in the locker room along with Washington Wizards teammate Gilbert Arenas, was arrested Monday in a Southern California airport. He faces a murder charge in a deadly Atlanta shooting, an attorney said Monday. Crittenton was taken into custody Monday night at John Wayne Airport in Orange County after checking in for a Delta Air Lines flight to Atlanta, FBI spokeswoman Laura Eimiller said. Eimiller said he was arrested without incident by FBI agents with assistance from the Orange County Sheriff's Department. Authorities are now trying to determine whether Crittenton will make an initial appearance in federal court or be taken directly to Atlanta to face state charges there. "He offered to turn himself in," Lawyer Brian Steel told The Associated Press earlier Monday. "He's not guilty. We look forward to getting it to the courts." Police spokesman Carlos Campos on Friday said the motive appears to be retaliation for a robbery in April in which Crittenton was the victim.